Freedom Tri were out for the fourth fixture of the Run Herts Cross Country League at Watford at the weekend. 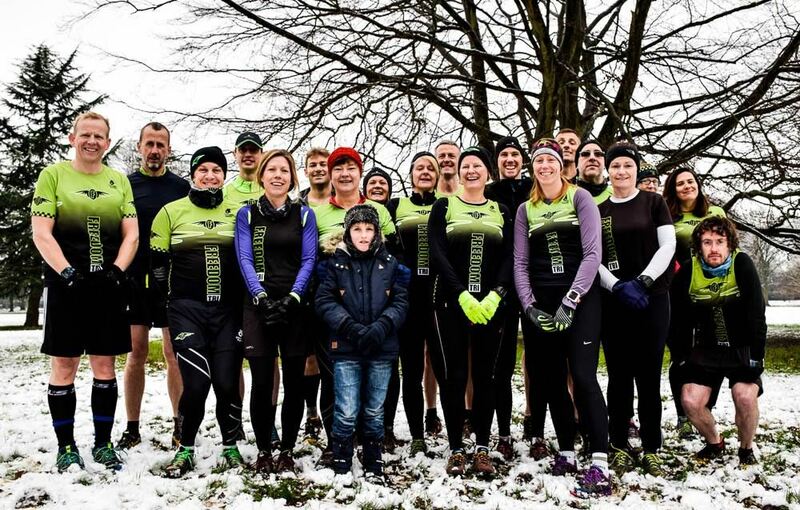 The cold and snow wasn't enough to put off Freedom's team of 19 athletes, who were out competing, amongst almost 350 hardy types. Tracey Palmieri was 7th lady to finish in 44:57, Rachel Lynes 29th in 49:09, Angela Phillips 39th in 50:16 and Jenny Cotter 53:37. Martin Hawke was first male for Freedom, finishing 69th in 41:05, Gareth Charles was 84th in 41:54 and Lee Hayes was 85th in 42:03. Emma Kinsey was 85th lady in 56:37, Michael Day was 86th in 42:08, Gareth Bates 99th in 43:05, Liz Aitkin 110th in 1:03:42, Jackie Livings 114th in 1:06:26. Sarah O'Callaghan 116th in 1:06:54 and Emma Croxon in 123rd in 1:16:15. Lewis Green was 148th in 47:28, Mark Allen 162nd in 48:44, James Knight 199th in 54:35, Matt Cotter 201st in 55:12 and Rob Evans, 205th in 56:03.